Salvation And Survival: You Can't Stop The Truth! You Can't Stop The Truth! 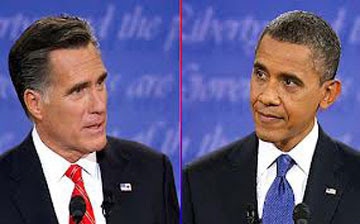 Tonight's final Presidential debate before the November 6th Election should be quite interesting, if not explosive. Tonight's subject is foreign policy, and I am hoping that the American people will get answers instead of hype; something more than the dishonesty and deceit we've been fed for the last month or so. I should also say that I don't expect anything but more of the same. But I can hope, can't I? We are all expecting the Libyan situation to be front and center at tonight's debate; and rightfully so. As each day goes by, new information surfaces that is quite different than the "official" spin coming from the White House. By now, it is almost universally accepted that the two-bit video did not result in the loss of four American lives. It can no longer be avoided .... just say it: It was a terrorist attack! But that's not enough, because there's something much more dark and sinister going on here. Too many fearless reporters are not giving up on this story, and they are digging up some disturbing facts and connecting some unexpected dots. First of all, when Joe Biden, during his own debate last week, threw both the State Department and the Intelligence community under the bus, you didn't really expect either to take the fall, did you? Oh wait; Hillary tried to, but nobody's buying it. So it was no real surprise when the Associated Press reported that within 24 hours of the deadly attack, the CIA station chief in Libya reported to Washington that there were eyewitness reports that the attack was carried out by militants. So when Joe says, "We didn't know," my question is, "Why not?" Did somebody perhaps miss an intelligence briefing? And then there are the reports beginning to surface across the internet, from news sources such as TheBlaze.com and WorldNetDaily.com, among others. WND has made the distinction between what the Reuters news agency mistakenly called "the consulate" and a "diplomatic mission", which is where Ambassador Stevens was supposedly killed. Reuters repeatedly referred to the attacked U.S. compound in Benghazi as a “consulate.” However, as WND reported earlier this week, the building was not a consulate and at no point functioned as one. Instead, the U.S. diplomatic mission in Benghazi served as a meeting place to coordinate aid for the rebel-led insurgencies in the Middle East, according to Middle Eastern security officials. Among the tasks performed inside the building was collaborating with Arab countries on the recruitment of fighters – including jihadists – to target Bashar al-Assad’s regime in Syria. There are further reports that Ambassador Stevens, on behalf of our country, had connections to Turkey and the supply of arms to jihadist rebels in Syria. How did that all work? WND reports that Stevens served as a key contact with the Saudis to coordinate the recruitment by Saudi Arabia of Islamic fighters from North Africa and Libya. The jihadists were sent to Syria via Turkey to attack Assad’s forces, according to Egyptian security officials. Are you keeping all this straight? Because I can honestly say it is far too complicated and confusing for me. How did this all come about? According to one news source, our involvement in the 2011 Libyan revolt against Muammar Qaddafi was somewhat "reckless", in that our policy included supplying American forces and dollars into the conflict on the side of the rebels, who were known at the time to include Al Qaeda elements. In March of 2011, Christopher Stevens was named as the official U.S. liaison to the Libyan opposition. Stevens' assignment was to coordinate U.S. assistance to the rebels, whose top military commander, Abdelhakim Belhadj, was the leader of the Al Qaeda affiliate, the Libyan Islamic Fighting Group (LIFG). Does anyone, besides me, think it's not a good idea to get into bed with any organization that has ties to al-Queda? I know that our government cannot reveal to the public all the intricate details of our foreign policy, or the shady deals and arrangements they have to make to assure our national security. But when we find out that our very government, who asks our military to go into battle for us, is arming groups that have made it clear they wish to destroy our country ..... then we have the moral duty to question this policy. It seems obvious to me that our foreign policy is controversial, at the least; and suspicious, or even illegal at its core. What is certain is that we are not being told the truth. I don't even want to speculate at what that truth might be. I have my theories, but I will leave the revelations to professional investigative reporters. They are on the scent, and I have no doubt that they will uncover all the shocking and ugly details that led to the deaths in Benghazi. Will the exposure change our foreign policy, or bring back those whose lives were lost? No, but maybe blowing the lid off the whole mess will wake up America and reset our moral compass. We are in bed with the Devil and that can only lead to our destruction. Tune in tomorrow: See how the U.N. is inserting itself into our election!